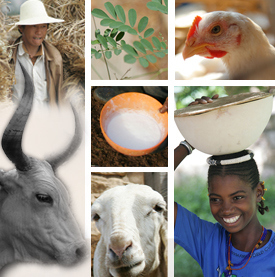 Livestock feeds in the developing world come from a range of sources including crop residues, planted forages, agro-industrial by-products, grazing and others. Improved feeding comes from producing more feed, improving feed quality, or smoothing seasonal imbalances in feed supply. Feed enhancement has technical aspects but often relies on organizational change including enhancing input supply for feed production. Feed is an input into livestock value chains and feed needs to be considered in a value chain context if improvements are to be made. This blog arose out of the recently completed IFAD-funded Fodder Adoption Project but we will continue to post here on the area of feed enhancement in its broadest sense.